Karen Thomson Hall is a versatile singer whose performance experience ranges from the opera and musical theatre stage to intimate cabaret performances and chamber music recitals. The Oakland Tribune has raved, "Hall sounded glorious" and the San Francisco Examiner has exclaimed, "Hall's vibrant voice is a delight. " 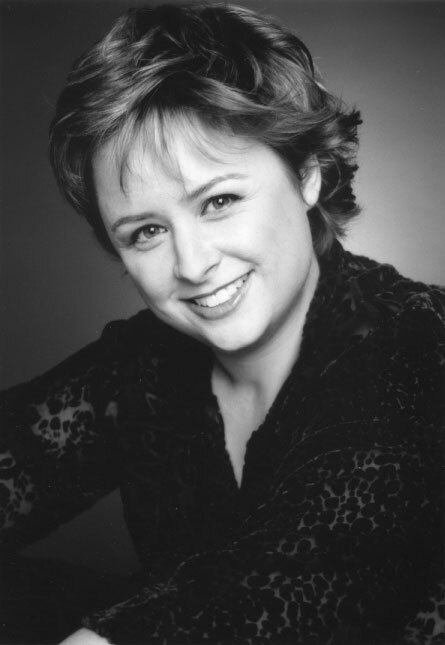 Karen has been the soprano soloist for such works as Handel's Messiah, Vivaldi's Gloria, the Fauré Requiem, the Rutter Requiem, and in highly acclaimed performances of the Verdi Requiem with the Napa Valley Symphony and Leonard Bernstein's Mass with the Oakland East Bay Symphony. She has held leading roles in such operas as Die Zauberflöte, Das Rheingold, Così fan tutte, The Tales of Hoffmann, Albert Herring, and Die Fledermaus. Renowned for her work as a singing actor, she has been seen in musical theater productions of No Regrets: The Songs of Edith Piaf, Jane Eyre, Lady in the Dark, Pal Joey, Sunday in the Park with George, Company and Sweeney Todd to name a few. A strong supporter of contemporary classical music, Karen has premiered new works across the United States, including new works written for her voice by composers Matt Doran and Robert Steel. She performs on the cabaret stage with pianist Christopher Winslow and her latest solo show Continental Drift (the music of Weill & Piaf) was developed and produced at ODC Theater. She also leads a popular annual Broadway Sing-Along at the San Francisco JCC. Karen received her theatrical and musical training from Northwestern University and the University of Texas at Austin, where she was engaged by the Austin Lyric Opera's Young Artist Program for two years. Her principal teachers include Kathleen Kaun, Martha Deatherage, and Sylvia Anderson, and she has performed for such eminent artists as Marilyn Horne, Licia Albanese, Mattiwilda Dobbs and Warren Jones. Karen performs regularly with The Mirage Ensemble and is a founding director of Accendi Performances, a presenting and service organization for the independent artists of the San Francisco Bay Area. Rob Bailis, clarinetist, has been lauded for his "sweet, singing tone...and technical wizardry..." - San Francisco Classical Voice. He has toured with orchestras and in chamber recitals across the U.S., Canada, Asia, and the U.K. 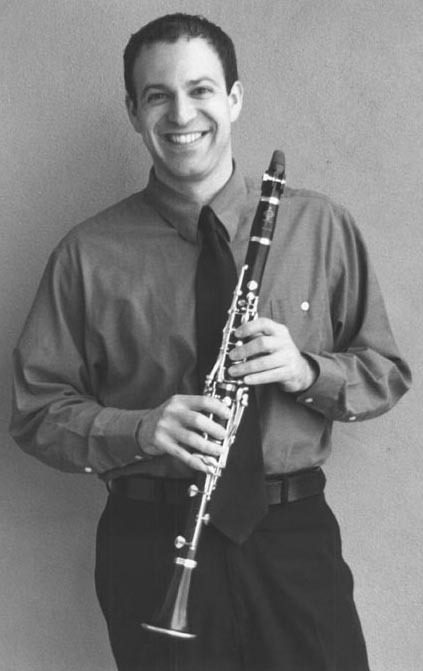 Since returning to the Bay Area, he was appointed to the Napa Valley Symphony, and performs regularly with numerous other ensembles throughout northern California. A proponent of contemporary music he has premiered many new works, including pieces by Luciano Berio, Martin Bresnick, and Jack Perla. Recent touring highlights have included clarinet recitals in Chicago, San Francisco, and London, where he premiered new works written for him by Takamitsu Prize winner, composer Arlene Sierra. Since 2003, Mr. Bailis has been Director of ODC Theater, a cultural landmark in the contemporary performing arts, where he has built a program that presents over 60 different regional, national, and international companies each year. In 2007, the San Francisco Chronicle honored Mr. Bailis, naming him "MVP" in the field of dance presenting, describing his curation as, "...smart and sophisticated, his empathy for artists is instinctive and his enthusiasm is infectious." Under his leadership, the Theater has undergone and $8.5MM renovation and expansion of its facility, and received numerous regional and national awards in recognition of its acclaimed "ODC Presents" series, its unduplicated Artist Residency programs. As a playwright and lyricist, Mr. Bailis was first produced in 1991 when his musical play "The Culture Counter," premiered at the Around the Coyote Arts Festival in Chicago. 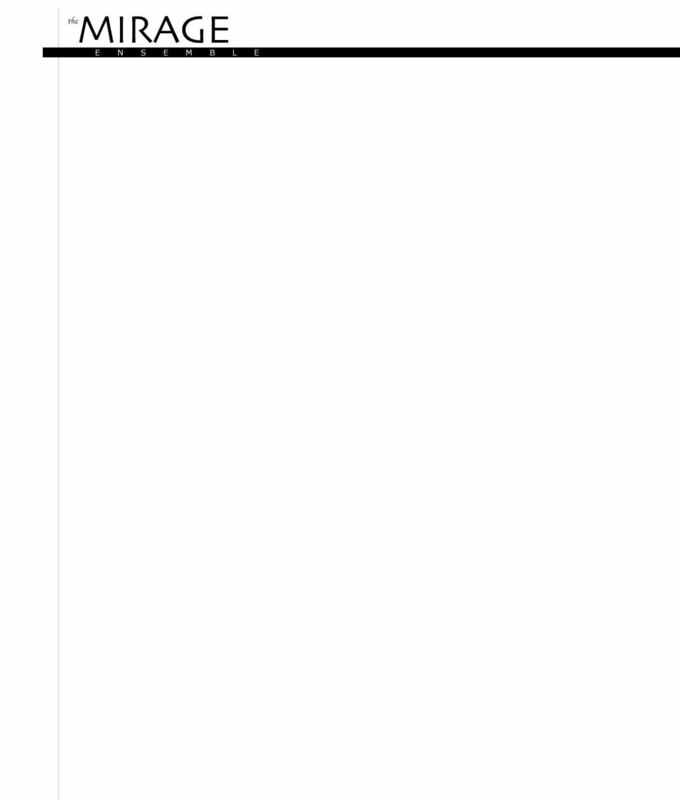 Since then, he has produced a widely performed body of work primarily in art song, song cycle, and libretto. His newest piece, "Love/Hate" is in development at American Opera Projects in New York City, where it has received performances at Manhattan School of Music and Galapagos Space. "Love/Hate" will premiere at Urban Arias is Virginia in Spring 2011, and will receive subsequent productions in Houston, New York, and San Francisco. Mr. Bailis holds degrees from Northwestern University and the Yale School of Music. He is also a proud alumnus of international programs at the Royal Court Theatre in London, and Interlochen. Hadley McCarroll piano, appears regularly throughout the San Francisco Bay Area as a solo and collaborative artist, opera coach, clinician, and teacher. Hailed for her "...lively and exhilarating..." pianism, (San Francisco Classical Voice), she performs music in many diverse styles with many ensembles, including the Berkeley New Music Project, Oakland East Bay Symphony, Berkeley Symphony Orchestra; Sounding the Margins, a festival of the music of Pauline Oliveros; sfSoundGroup, and as the pianist of the cello/piano duo martha & monica. Ms. McCarroll is in demand as a vocal coach and accompanist; she has collaborated with many local companies, including: San Francisco Opera and Opera Center, Opera San Jose, Berkeley Opera, Festival Opera, and West Bay Opera. She has served on the faculty of the Peninsula Teen Opera since 2005, guiding young singers studying serious classical music. She has accompanied such artists as Linda Watson, Nuccia Focile, and Jane Eaglen. She has also worked on the music staffs of Utah Festival Opera and the Royal Danish Opera. A dedicated pedagogue, Ms. McCarroll is founder of the East Bay Chapter of The California Association of Professional Music Teachers, and has served on the faculty of the San Francisco Community Music Center since 1997, in addition to directing her own music studio in Oakland. She is frequently sought out as a clinician and adjudicator, and has taught musicianship classes for the San Francisco Choral Society. 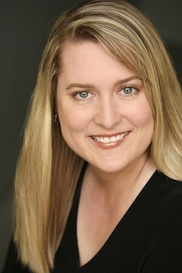 Ms. McCarroll holds degrees in piano performance from the University of Texas at Austin, where she also studied collaborative piano and pedagogy.